Osteopetrosis. All of the bones are markedly dense. 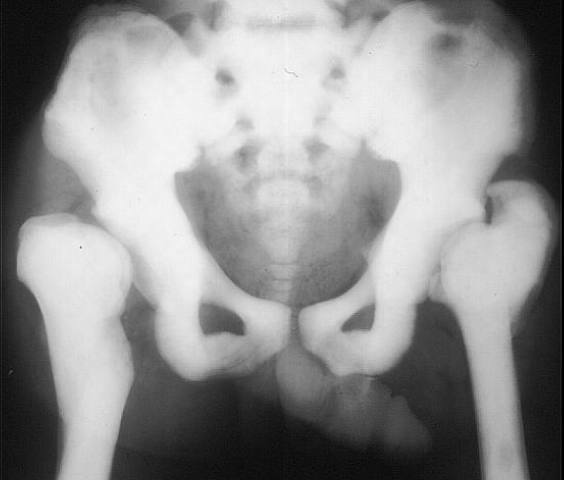 There is dysplasia of both femoral heads and necks. The marrow cavity has been replaced. Osteopetrosis. All of the bones are abnormally dense in this individual. 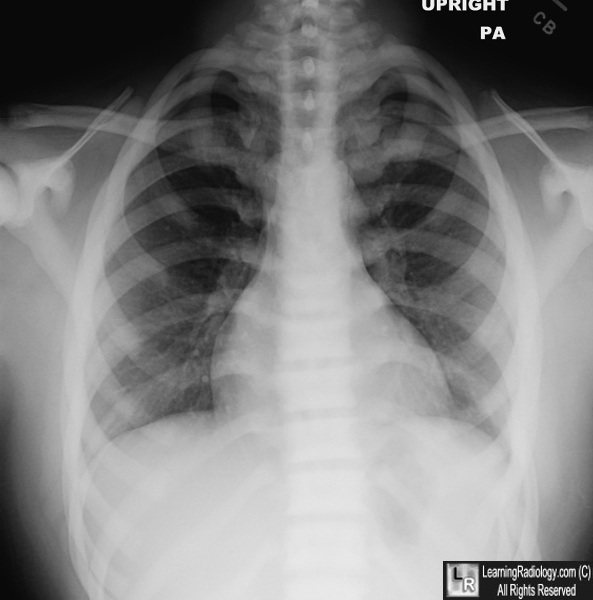 This can especially be appreciated by the stark visualization of the anterior ribs, which are often difficult to see at first glance on a normal frontal chest radiograph. The scapulae are also abnormally dense.